ARCADIA, CA – Ed Golden from Santa Anita reports that Bob Baffert confirmed this morning that multiple Grade 1 winner McKinzie will pass the Pegasus World Cup next Saturday and point for Santa Anita’s marquee race for older horses, the Grade 1, $600,000 Santa Anita Handicap at a mile and a quarter on March 9, using the Grade 2 San Pasqual Stakes on Feb. 2 as a steppingstone to the Big ‘Cap. “We’re going to run here if all’s well,” the two-time Triple Crown-winning trainer said. Baffert would be seeking his sixth victory in the Big ‘Cap, having won it with General Challenge in 2000; Misremembered in 2010; and three times with Game On Dude, in 2011, 2013 and 2014. 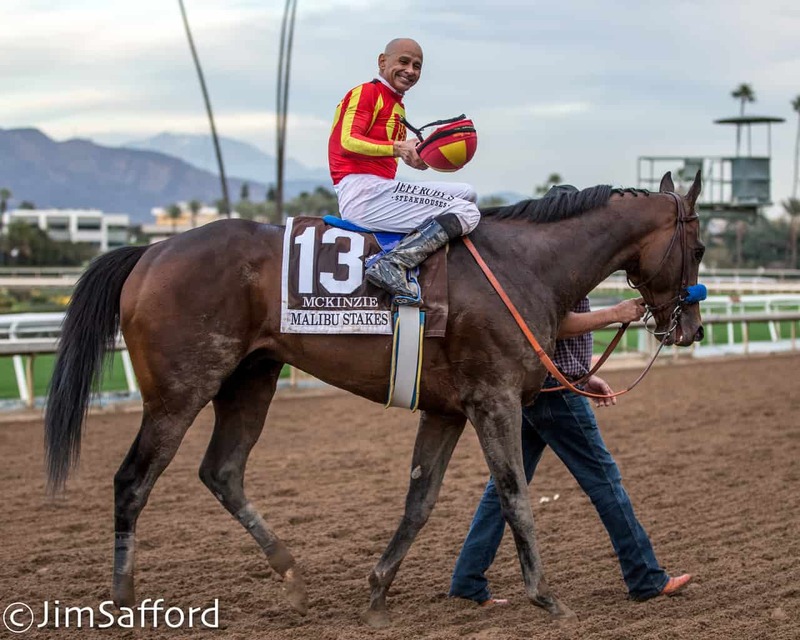 McKinzie, a bay son of Street Sense, is coming off an impressive victory by nearly five lengths in the Grade 1 Malibu Stakes at seven furlongs on Dec. 26. He had won three graded stakes last year before finishing a disappointing 12th in the Breeders’ Cup Classic on Nov. 3.